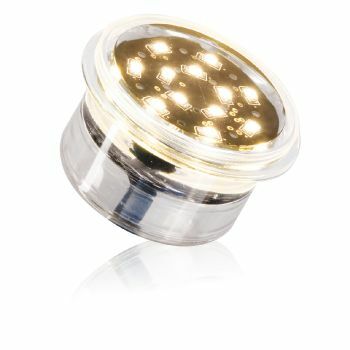 The Doba is a recessed LED Spotlight, containing 12 warm white (2700K) brilliant LEDs which are reminiscent of clear crystals. 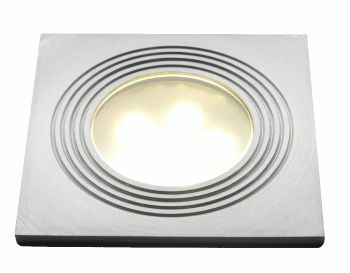 This highly versatile recessed spotlight is ideal for illuminating decking platforms, outdoor tiled and stone surfaces, walls and coping. 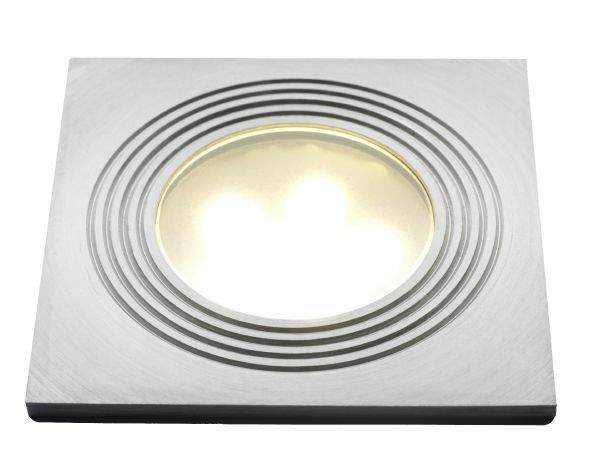 The Doba is supplied with a threaded stainless steel square cover ring (L75mm x W75mm), IP68 rated waterproof spotlight (to suit a Ø60mm drilled hole), spring retainer, Clear and Frosted glass lenses, short threaded cable and 2 metres of threaded joining cable. The short cable (approx. 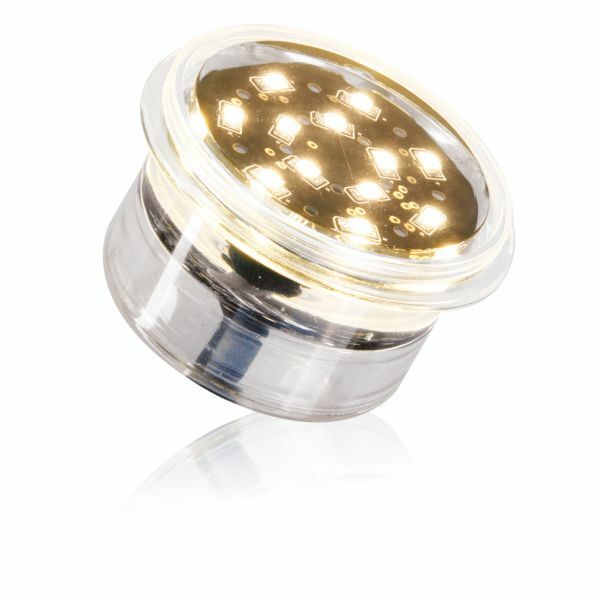 60mm length) allows the LED spotlight to be fitted and replaced without the need to dig up or extract the longer cable. 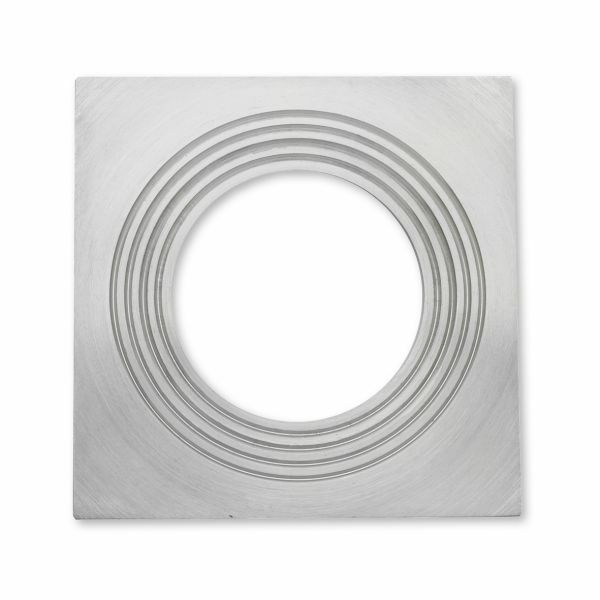 The sealed light fitting also features a cable recess, allowing the low voltage cable to be bent at a sharp 90° angle without stressing the joint. 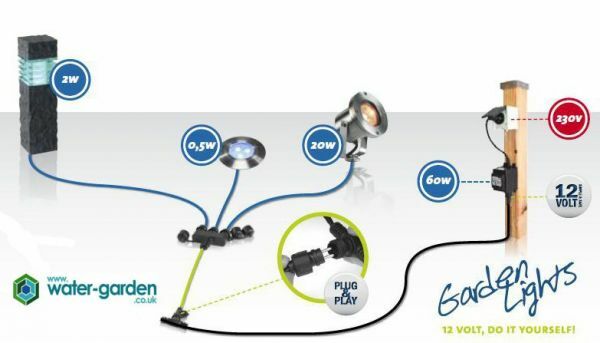 The Doba LED Deck Spot Light is ready for connection to the LED Garden Lighting Systems range of low voltage cables, splitters, remote controller, timer and transformer components.